The pros design for the best jig head for rigging baits for shaky style techniques and is great for regular jig head methods too. Special barb helps stand baits up for better action and holds ElazTech, 3X and regular plastics perfectly in place. Easy to rig and no need for glue! 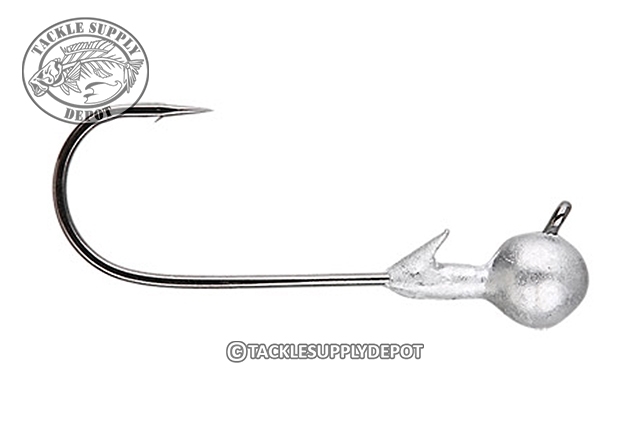 The 60 degree, flat eye Gamakatsu hook keeps the line knot in the proper place and enables better hook sets. The hook eye is flush with the head for a more streamlined look and is more efficient in cover. Painted models feature incredibly durable powder coat paint. The round head design works well in a range of situations and also doubles well as an internal tube jig head.